GLENDALE, ARIZONA --- The National Hockey League announced today that Coyotes captain Oliver Ekman-Larsson has been named as a finalist for the 2018-19 King Clancy Memorial Trophy. The award recognizes the NHL player who best exemplifies leadership qualities on and off the ice and has made a noteworthy humanitarian contribution in his community. 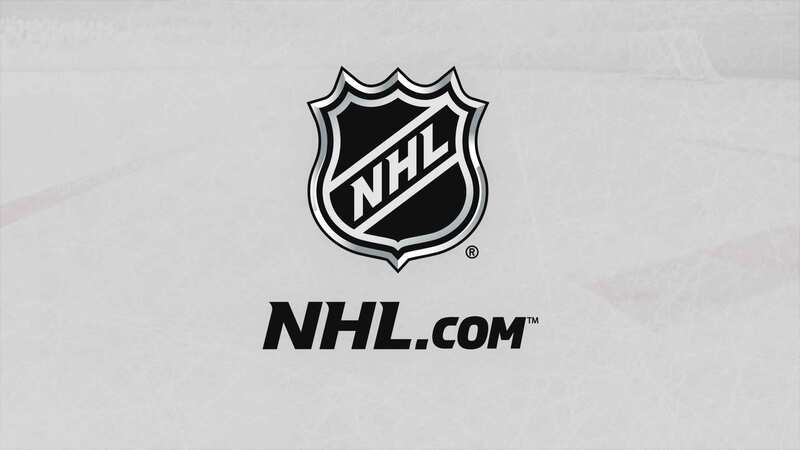 The winner will be announced at the 2019 NHL Awards™ presented by Bridgestone on Wednesday, June 19 at Mandalay Bay Resort and Casino in Las Vegas. GLENDALE, ARIZONA --- The Arizona Coyotes and Cold Beers & Cheeseburgers will introduce a new lower level ticket package for the 2019-20 season called the Cold Beers & Cheeseburgers Zone. Fans who purchase season tickets in sections 117, 118 or 119 (rows Q through Z) will receive food and beverage from Cold Beers & Cheeseburgers included with their ticket. Food options include a choice of a burger, chicken sandwich, vegan burger or hot dog, plus chips and a beer, soda or water. This zone offers great value to season ticket members at $57 per game. GLENDALE -- Clayton Keller is closely watching the Stanley Cup Playoffs because he's confident the Coyotes will be a participant soon. GLENDALE -- Defenseman Kevin Bahl helped the Ottawa 67's roll through the first two rounds of the Ontario Hockey League playoffs. GLENDALE -- After playing just 48 games in his first season with the Coyotes, defenseman Niklas Hjalmarsson vowed to himself and team management to make a greater impact in 2018-19. GLENDALE -- Oliver Ekman-Larsson enjoyed his first season as captain of the Coyotes, and under his leadership the team nearly reached the Stanley Cup Playoffs for the first time since 2012. GLENDALE, ARIZONA --- The Arizona Coyotes announced today that the club is inviting all Season Ticket Members, corporate partners and general fans to come to Gila River Arena on Sunday, April 28 for an Open House/Select-A-Seat event. Fans will also have an opportunity to paint personal messages on the ice and interact with Coyotes players, President & CEO Ahron Cohen, TV Play-By-Play Announcer Matt McConnell, Radio Color Analyst/Brand Ambassador Paul Bissonnette, In-Arena Host Kristen Keogh and team mascot Howler. GLENDALE -- Darcy Kuemper started the 2018-19 season as Arizona's backup goalie, and finished it as the team's MVP. "It was a lot of fun getting out there and playing consistently," said Kuemper, who inherited the starting job in late November after Antti Raanta suffered a season-ending, lower-body injury. "It's a lot more fun than sitting on the bench. I just want to keep building off of it, keep improving." GLENDALE, ARIZONA -- The Arizona Coyotes announced today that the franchise now owns the 14th overall selection at the 2019 NHL Draft following this evening's NHL Draft lottery in Toronto. In addition to selecting 14th overall, the Coyotes own picks in the second, third, fourth, sixth and seventh rounds. The 2019 NHL Draft will take place at Rogers Arena in Vancouver, British Columbia on June 21-22. GLENDALE -- Led by a stingy defense, the Coyotes made a valiant effort to reach the 2019 Stanley Cup Playoffs but came up just four points short.